New Directions Publishing Corporation, 9780811217248, 297pp. 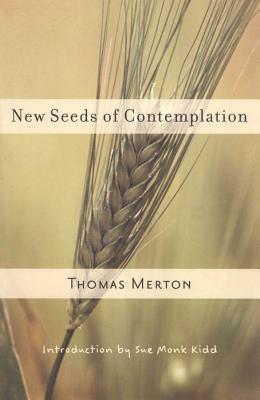 New Seeds of Contemplation is one of Thomas Merton's most widely read and best-loved books. Christians and non-Christians alike have joined in praising it as a notable successor in the meditative tradition of St. John of the Cross, The Cloud of Unknowing, and the medieval mystics, while others have compared Merton's reflections with those of Thoreau. New Seeds of Contemplation seeks to awaken the dormant inner depths of the spirit so long neglected by Western man, to nurture a deeply contemplative and mystical dimension in our lives. For Merton, "Every moment and every event of every man's life on earth plants something in his soul. For just as the wind carries thousands of winged seeds, so each moment brings with it germs of spiritual vitality that come to rest imperceptibly in the minds and wills of men. Most of these unnumbered seeds perish and are lost, because men are not prepared to receive them: for such seeds as these cannot spring up anywhere except in the soil of freedom, spontaneity and love.